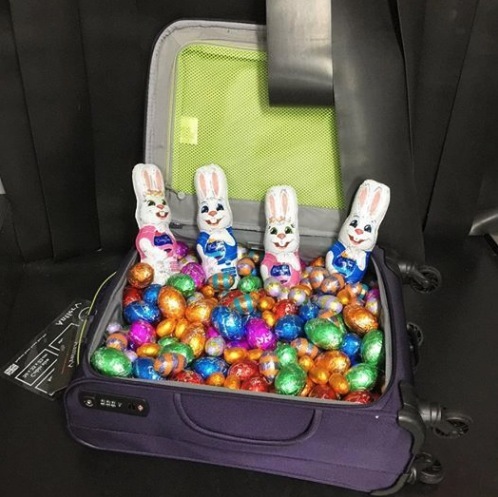 Enter now the Antler Competition to get your opportunity to Win Zeolite Cabin Case worth $249 filled with chocolate eggs. To enter you have to visit the official Antler page on Facebook, then look for the post promoting this competition (click here to go directly), like it and use the comments section to write your answer to the following question “How many eggs and bunnies you think are in the case?” and tag two friends. This contest closes on Tuesday 16 April 2019. Winner will be the participant closest to the real number without going over. There is one prize available, it consists of a Zeolite Cabin Case valued at $249. The Antler Competition begins on April 12, 2019 and ends on April 16, 2019. Winner will be the participant closest to the real number without going over.